Char Siew is not easy to photograph. He is a very fidgety dog. I tell him to stay still for a shot but most of the time – his head is a whole lot of blur. This weekend – I wanted to get some shots of him in my parents’ new house. He was his usual fidgety dog that I decided that the only way I can take a picture of him is by cranking up the ISO of my camera and make the shutter speed fast. Because the ISO was really high – I ended up with very noisy photographs. 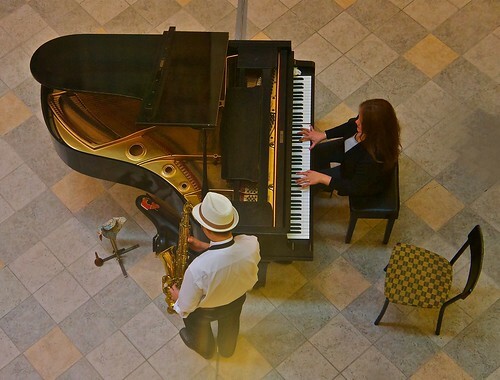 There is a de-noising capability available in iPhoto but I noticed that it doesn’t just smoothen out the noise. It also smoothens out Char Siew’s fur. I’m lucky it didn’t smoothen out the wrinkles on his face. But the pictures were too cute not to show to everyone – so I decided to turn them into a collage. Here are his funny pictures. Don’t you think he’s really cute? He used to be afraid of going up and coming down the stairs. However – after we showed him that he can do it, he ended up running up and down over and over again. My father thinks Char Siew is like a lion. I tend to agree with him. Actually – I don’t think he’s pure dog. I think he’s part cat. Watch his ears turn. It’s not full 180 in this capture but I swear he can do it – just like how cats can do it. I discovered the Trylle trilogy while I was browsing through Amazon. It was a book recommended for me – I think via my purchase of Magic’s Promise by Mercedes Lackey. 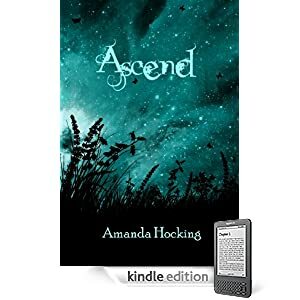 It is a trilogy with Switched as the first book, and Torn and Ascend completing the Trilogy. However – as a reader – I must say that it could really have just been one book since the story arch in each book seems to be incomplete. 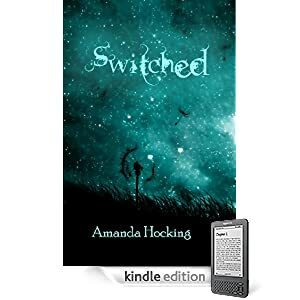 Switched is on sale for 2.99 USD if you purchase the Kindle edition and Torn and Ascend are regular priced at 4.99 USD. Trylle is the story of Wendy, a teenager who discovered that she is actually a Princess and heir apparent to the throne for a people called Trylle. She had a horrible childhood and the story started with her mother trying to kill her on her sixth birthday. There really isn’t anything entirely new about the story since fans of stories like Harry Potter, Narnia, and even the Magic series which I referred to earlier – all tells a story of a young man or woman who lived miserable childhoods and discovers that they have great power and along with that great power a responsibility to fight evil. I am a fan of all of these books which is why it was no surprise that I also loved the story of Wendy. 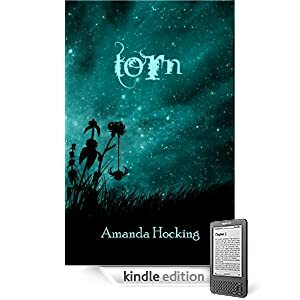 Amanda Hocking, the author, is very good story teller. I actually read the book quickly and the twist and turns of the story behind Wendy, her friends and family, and her love life were so interesting that it was difficult to put down. This is actually good business because as I finished the first book, I purchased the second and the third book. This of course was easy to do since I purchased the Kindle version. It’s been a long while since I last read a novel. The last one I read was also via the Kindle on my iPad. I must say that as much as I love the smell of books – I think I am definitely an e-books fan. I also want to say that reading this novel was a good wake up call for me. I’ve not been myself lately. The drive to succeed has been very weak. I used to have a purpose in life. That seems to have progressively weakened. However – Wendy’s story and her inner struggle in choosing to face her duties and responsibilities that came along with her gifts were too close to my own story. I’m a talented man and it seems like I have been putting it all to waste. I know that it’s difficult to understand that this is coming from a man who is close to his forties but with how all of our society seems to be so distracted by the barrage of information from the internet and other media – I think most of us are really just lost. Most of us are lost – but we find our way – and novels such as the one written by Miss Hocking ( very much like how JK Rowling did with Harry Potter ) – are good reminders of our greatness and our duties. Well, originally uploaded by jumpnjoey16. There's a well in Plaza San Luis, Intramuros. I peeked trying to see if it's a bottomless well - that leads to the secret tunnels that I imagine an old city like Intramuros has. Judging from the reflection of the leaves that I see - it's not bottomless. 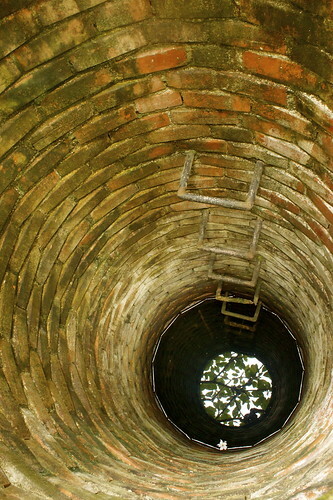 In fact the well seems to be really shallow. I just got back from my parent's house. They have recently moved from their previous house in which they have lived for over ten years. I myself lived there for approximately five years. We rented that house and the owner decided to sell the place. Of course we had right of first refusal. I tried to investigate if I can afford to take a mortgage and buy it – but then realized that I might be able to buy it but I already bought property away from the city which I intend to live in when I am no longer working in the city. So having two properties on a mortgage will not make sense in the future. The new house has a lot higher rent. Thankfully, my brother is earning a lot more now than he used to and he agreed to help out with the rent. So – my parents, my siblings, and my niece are now living in a three story townhouse which had three bedrooms. When they were moving, they realized that in the ten years that they have lived in the previous house, they have accumulated so much stuff. Some of that stuff they realized that they just had to let go – but mostly they kept. I’m hoping that when the house I intend to build for us is built – that we all have the courage to let go of the things that we will not need. I have said it before and i think it’s time for me to say it again. I am grateful that I am actually able to help out my family. I am grateful that my current job allows me to do that. I am also grateful that I continue to have a job that can provide for myself and my family. Life is good. Today I celebrate the first year anniversary of the House of Queens ( or at least it’s first year anniversary in it’s current form ). It’s been a great year for the blog and it’s been a great year in my life. As Chronicled in different entries of the House of Queens, it was a year of discovering new places, new restaurants, new friends, and new hobbies. 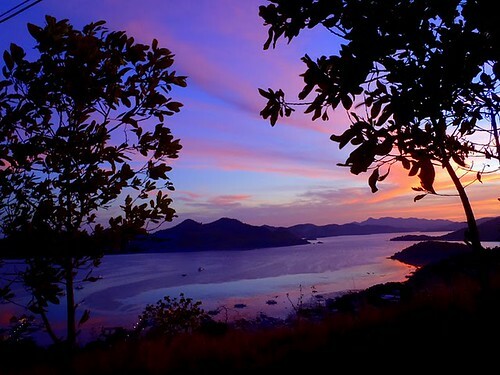 Local travel started with the visit to Coron Palawan. We even re-discovered our home city of Manila through the My Manila Weekend. 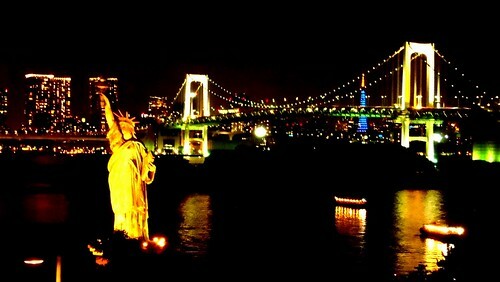 International travel highlight is of course our trip to Japan. However – the business trips to Hongkong and Thanksgiving in Singapore were also eventful and wonderful. We have discovered new favorite restaurants in Terrace @ Fifth and Relish at Ponte. Midori continues to grow in the House of Queens and was joined by new dog – Char Siew. It was indeed a great year. It was even made better by the fact that I was able to chronicle this time of my life through this blog. I am happy I have shared it with my regular readers. I’m looking forward to another year of blogging – here at the House of Queens. We have a colleague from the US who is in town to train our team. We were supposed to take her to the Imelda Tour with Carlos Celdran but learned that he had an appointment that weekend and could not do the Imelda Tour. 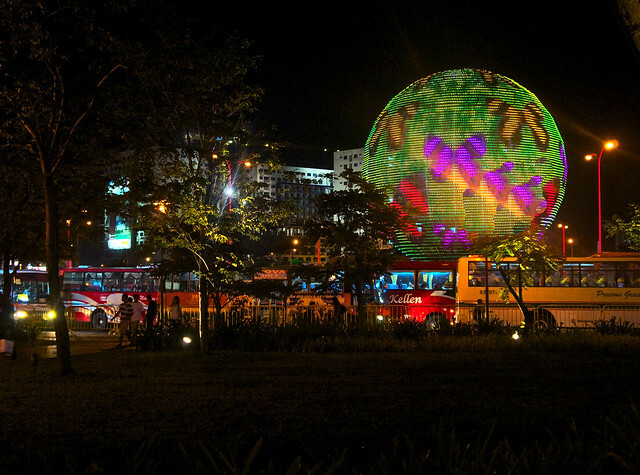 We thought – this might be our opportunity to see the Manila Ocean Park. We’ve been to the Manila Ocean Park before – not to see the aquarium but to hang out at White Moon – the bar located at the third level of the Park. This time – we decided to go and take a peek inside the aquarium. I love seeing fishes in their natural habitat – which is the sea. I don’t dive – and I’m too lazy to take diving lessons --- so the most that I do is snorkel during our beach vacations. As we entered the “aquarium” we were greeted with standard sized aquariums with different colorful tropical fishes. I was saddened by this site – especially when I saw a tank full of clown fishes. I continue to be amazed by the irony of seeing people calling them Nemo – forgetting that the whole point of the story in the movie is to free Nemo from the aquarium. I will not be a hypocrite and say that I did not enjoy seeing the fishes – big and small. I enjoyed every bit of it – especially when I saw the stingrays and the sharks. However – writing this post and recognizing that the supposedly big aquarium is small – I think the operators of the Manila Ocean Park can do better in keeping their aquatic friends a lot more comfortable. The stingrays in the tunnel kept swimming in circles over and over again. I don’t think that’s a comfortable life. We went to the aquarium very late in the day. One reason for that is that we’d hoped that there will be less people. We were wrong with that assumption. There were still busloads of CHILDREN at the Park – so you hear a lot screaming and yelling. You also see a lot of people with Tripods and Cameras blocking the small entryway to the tunnel of the aquarium. It was actually chaotic. The other reason for the late schedule is that I’d hoped I’ll see the famous sunset of Manila Bay. It was overcast – so we didn’t see the sun while it set. However – as we exit one door of the aquarium, it lead to a small deck where I was able to capture this photo. I It was a moment of silence – away from the kids. It was just a moment – because we had to enter another door – that leads us back to the chaos. I have read so many tweets about Bon Chon. I have seen the long queue to Bon Chon. So I know I just had to try Bon Chon. We went to the Bon Chon outlet at Ayala Triangle Gardens. It was a busy night but there was a big army of servers and bus people who made sure that the patrons have chairs and tables to use as the previous ones leave. We ordered the combination of 6 wings and 3 drumsticks. The flavor was Soy and Garlic. The Chicken wings were crispy and yummy. The drumsticks were so-so., At the end of the day – we liked the skin of the chicken because whatever marinade they use is a winner. However – we like Chicken with a flavorful meat as well. I have cousins who just eat chicken skin … I am not like that. I eat even the meat. Moreover – I only eat white meat ( but Chicken wings are forgivable white meat ). That’s where the Bon Chon chicken failed us. The meat does not have enough flavor to wow us. Have you been to Banana Leaf Curry? It’s a restaurant chain in Manila. 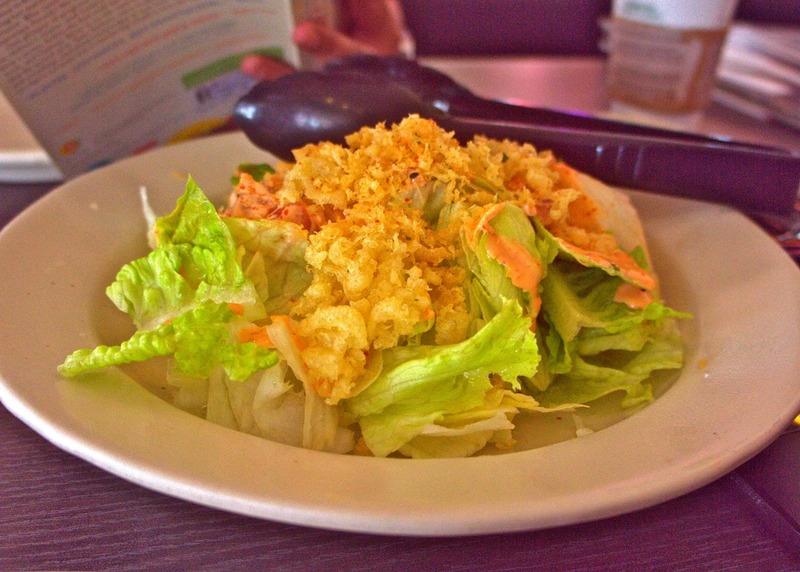 It’s the restaurant which gave us Filipinos a chance to discover the cuisine of our Southeast Asian neighbors. Prior to it’s first restaurant opening – we were already familiar with Thai cooking. We also grew up with Cantonese and Chinese dishes. However – Malaysian curry found in Malaysian food and Indonesian food was unknown. I must say that thanks to our countrymen who have gone to to Malaysia and Indonesia for work – we started to get introduced to the other Southeast Asian dishes. We did not like it at first – but realizing that a lot of those countries’ dishes were similar to ours – now – we are comfortable with dishes like Gado-Gado, Char Kway Teaw., Beef Rendang, Penang Acar and all other dishes cooked with all the spices that could only be found in those countries. This weekend was a time for us to go to Banana Leaf Curry. We were given our Banana Leaves – which we were familiar with because growing up, those were our paper plates when we went camping or when we went to family excursions to the beach. I like Banana Leaf Curry – and for those who are still unfamiliar with all our neighbors’ cuisine – it’s a good place to start. 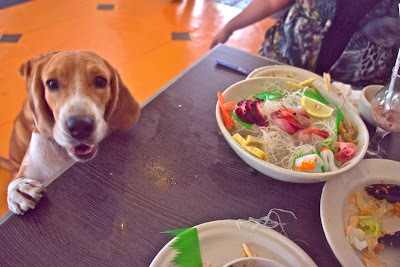 Here are some recommendations I have and the Filipino dishes that are closest to them. Milk Tea is a foreign concept to most of us. Heck – I don’t think our ancestors even knew what tea is – apart from the Lipton Tea bags. I know we had coffee – and Milk Coffee we knew about. But Milk Tea? I only found out about it as an adult. Pictured here are the Teh Tarik and the Thai Iced Tea. The Tarik is from Malaysia. Both are made of the same materials but they have different flavors. I don’t have any preference and I actually switch from one to the other. We Filipinos love hotdogs. The Malaysians and the Indians love their Roti ( literally translated it’s bread ). Recently, I heard that the Germans love their Currywurst ( or Curry Sausage ). Mix all those together and you end up with this Roti filled with Currywurst. A wonderful mixture of flavors. Imagine having French toast – but instead of just milk and honey – you have it soaked in a shrimp sauce and it’s covered in Sesame Seeds. Need I say more? Vegetable in Portuguese sauce. Do you know Kare Kare? Imagine that without the bagoong (Shrimp Paste ) and without the Beef Tripe … and with all the goodness of spices that the Portuguese used to control for the whole wide worlds. This is a treasure of a dish – that even Ferdinand Magellan would have circumnavigated the world for. Whoever said that the Asian nations only know rice cakes have not tasted our Coconut based desserts. This is like Lumpia ( or egg based crepe ) filled with sweetened coconut ( which we Filipinos call Bukayo ). A must try for any Pinoy who love their Kakanin ( translated to Cuisine ). I hope I have helped you open up your mind to discovering new dishes. 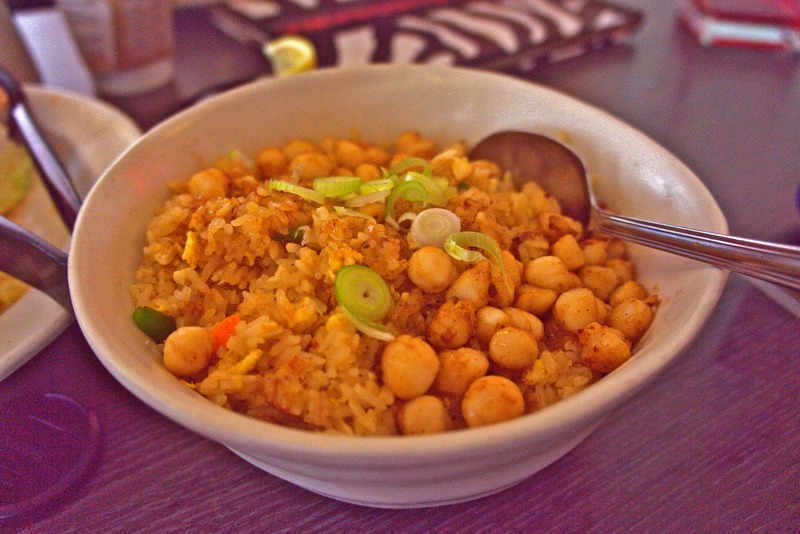 Don’t get me wrong – I love Filipino food. However – our Pinoy tongue can definitely benefit from trying something new. These dishes are a good place to start – their familiar – but they’re altogether foreign. Float Under Cover, originally uploaded by jumpnjoey16. In my last visit to Japan, it was raining like cats and dogs. That did not stop me from visiting the Meiji Shrine. 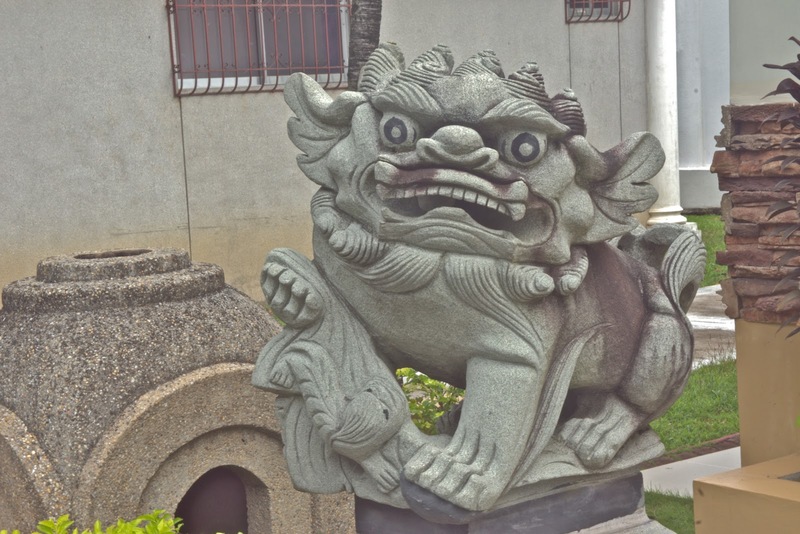 At the entrance to the shrine, men were trying to cover a structure which looked like a float. It was covered in plastic to protect it from getting wet. I think the float was going to be used for a parade the next day. I wasn't sure the rain will stop in time for that. The weather forecast was not optimistic. Chinese New Year is coming. This year, it's at February 2. Soon after that is February 14. For most of us - we will recognize this as Valentine's day. For the House of Queens - it is Char Siew's first birthday. Char Siew is our male Chinese Shar Pei. Incidentally - in the previous year, Chinese New year was celebrated on February 14. Thus - it seems to be apt to have given Char Siew a Chinese name. 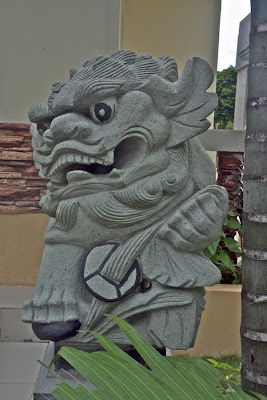 Char Siew - apart from his name and his breed's origin seems to have a close affinity to the Chinese heritage. I have written about it before, that the Shar Pei is one of those Chinese Breeds which closely resembles the Chinese Foo Dogs - or more accurately - the Chinese Foo Lions. 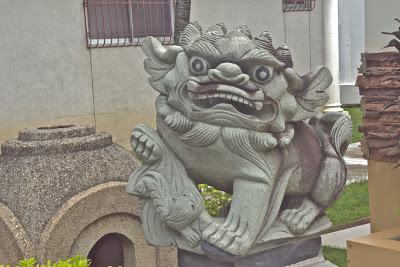 They are sculptures of these mythical creatures found in buildings which usually come in pairs. The Male lion is seen playing with a ball and the Female lion is playing with a cub. 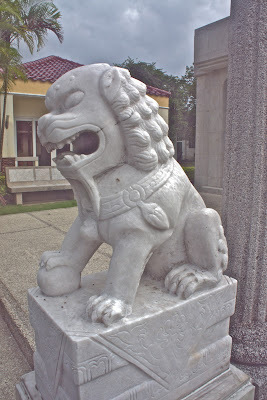 Here are some pictures of the Foo Lion that I have taken around Manila and Hong Kong. At the very end of this gallery is Char Siew - playing with his favorite toy. Yes - you guessed it right - he loves playing with balls. 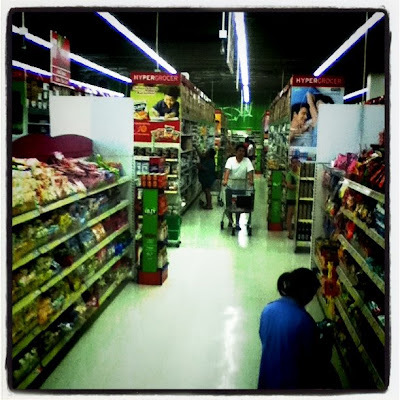 Our Grocery of choice is SM Hypermart at South Superhighway. It's big. It has products that we want ( e.g. Del Monte Banana Catsup and CDO "takal" Tapa ). Moreover - it is not crowded. iPhone and iPod Touch owners are familiar with Hipstamatic. It's an app which applies vintage camera style to ones photographs. I had a little bit of fun with my Hipstamatic app while doing our grocery shopping at SM Hypermart. Here are the pictures I took. Eastwood Mall was our destination last weekend. 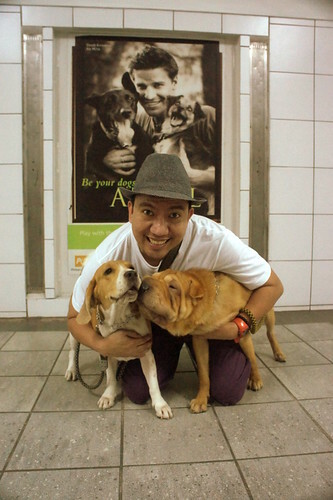 It's been a long while since we last brought the dogs out and Eastwood Mall is the perfect mall for us. We can do our bit of shopping since we can bring the dogs inside the stores. Moreover - there's a lot of outside sitting for the restaurants so we can dine properly. It was lunch time and we were hungry. We wanted to have Japanese food so we tried Mr. Kurosawa. We ordered the mixed sashimi, the crispy spicy salmon salad, and the scallops fried rice. The dressing of the spicy salmon salad would have been better served with Asian dressing. Moreover - they weren't kidding when they called it spicy. It tasted good - but I really wish they stuck with the Asian dressing instead of the Thousand Island dressing that they used for it. 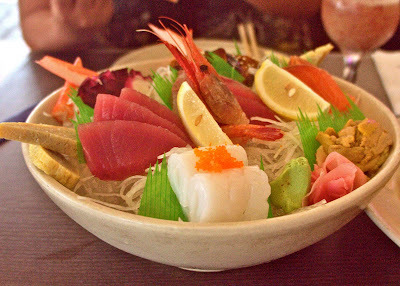 I think the sashimi was not as fresh as I would like them to be - and the scallops fried rice needed some seasoning. Midori seems to be a bit hungry. She's currently on a diet because she is overweight. She persisted in trying to get some of the sashimi. Unfortunately for her - we can't give her some because she has a lot of allergies - and we're afraid that the seafood will aggravate her allergies.